The NEC UN551VS 55" Class LCD Display is ideal for creating a lasting impression on your audience. The frameless design ensures that you have a seamless digital canvas to display your product and deliver your message with minimal image interruption of just 0.9mm per screen. It comes with Portrait and Landscape modes to give you the ideal solution as per your requirement. The S-IPS panel provides superior picture quality and excellent color reproduction ensuring perfect visibility even at extreme viewing angles which constantly change as the viewer passes by. With various connectivity options like HDMI, DisplayPort, DVI & more; you can connect to HD entertainment devices easily. The 500 cd/m� brightness gives clear visibility even in bright ambient light conditions. 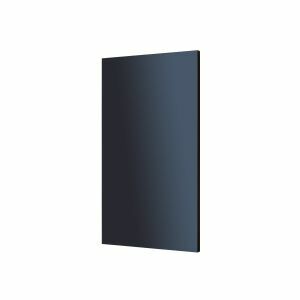 It is perfect for extended usage in places like retail stores, restaurants, entertainment and corporate applications. Wait no more, order the NEC UN551VS 55" Class LCD Display now!